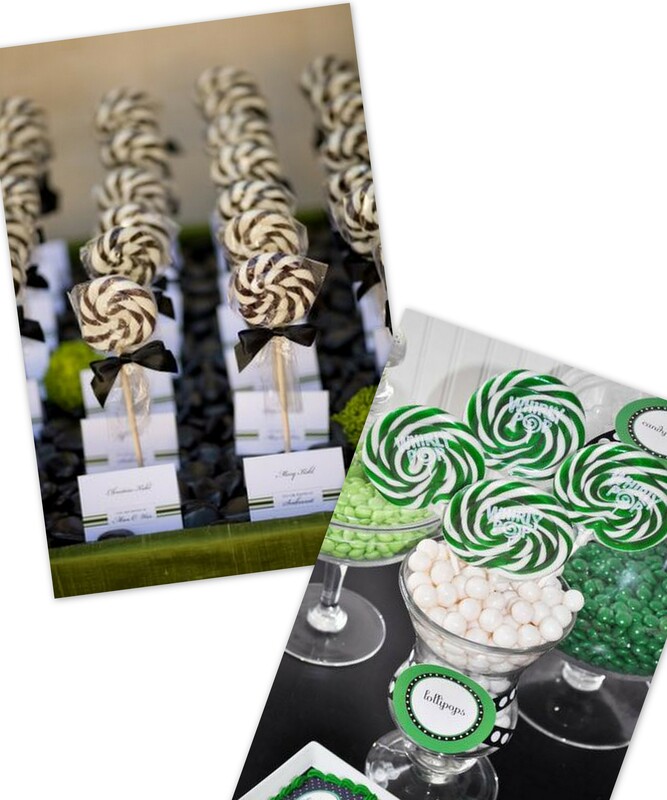 So you love lollipops and sweets and want cool ideas for your next event? Here are several for you to check out. You could set up a candy table, use them in your desserts or event better, use them as cocktail stirrers! You can get very creative with lollipops and these will be a great way to show off your personal style and give your guests some edible goodies to take home. Try some of these with your next order of Hot Lollies. Don’t just lay your lollipops on a table, that’s boring, display them with place-cards or in large candy bowls to spruce up your tables. From top to bottom: Tried and True Weddings, photo credit Amorology Weddings, Hostess with the Mostess lollies propped in candy bowls. 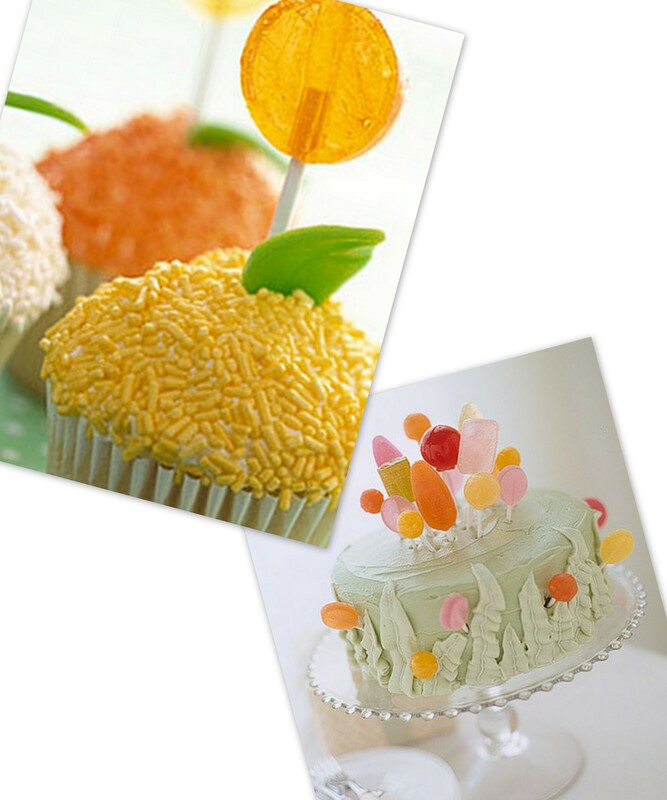 This cupcake lollipop flower idea is so cute for a kids party. Kids will be bouncing off the walls with all the sugar but something special once in a blue moon won’t hurt. The cake is precious too! Just another way to enjoy your lollipops. Here are a couple of interesting ideas for adult parties, lollipop cocktails, how fun! Use your lollies as edible drink stirrers! A spicy lollipop would be great with drinks, think Mango Habanero lollipop for your margaritas! 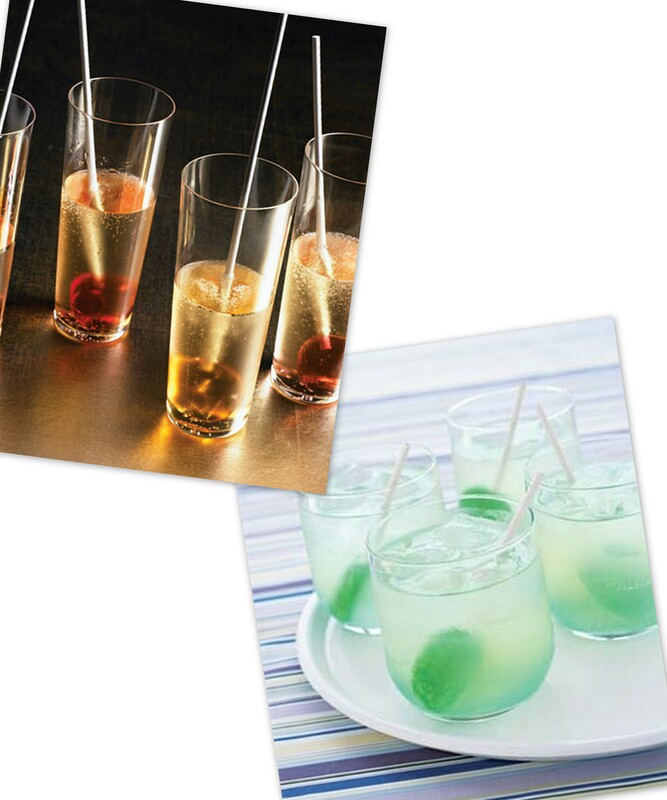 From top to bottom: Martha Stewart champagne lollipop stirrer, Real Simple vodka tonic with a mint lollipop stirrer.